From Walt Disney Studios comes the all-new live-action adventure DUMBO, expanding the beloved classic story where differences are celebrated, family is cherished & dreams take flight. 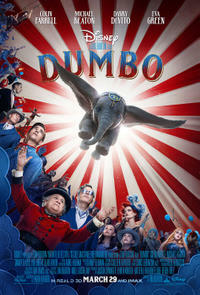 Circus owner Max Medici (Danny DeVito) enlists former star Holt Farrier (Colin Farrell) & his children to care for a newborn elephant, Dumbo, whose oversized ears make him a laughingstock in an already struggling circus. 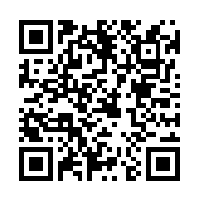 But when the family discovers that Dumbo can fly, the circus makes an incredible comeback, attracting the attention of persuasive entrepreneur V.A. Vandevere who wants to showcase Dumbo in his latest, larger-than-life entertainment venture, Dreamland. Dumbo soars to new heights alongside a charming & spectacular aerial artist, Colette (Eva Green), until Holt learns that beneath its shiny veneer, Dreamland is full of dark secrets. DUMBO delivers Disney’s magical visual effects as well as inspirational moments encouraging kids to make the most of their abilities & to recognize the important people & blessings in their lives – especially when they feel like they don’t fit with the world around them. 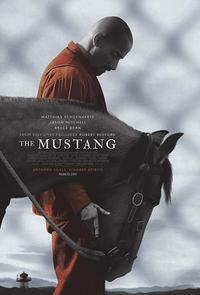 In THE MUSTANG, Roman (Matthias Schoenaerts), a convict in a rural Nevada prison who struggles to escape his violent past, is required to participate in an “outdoor maintenance” program as part of his state-mandated social rehabilitation. Spotted by a no-nonsense veteran trainer (Bruce Dern) & helped by an outgoing fellow inmate & trick rider (Jason Mitchell), Roman is accepted into the selective wild horse training section of the program, where he finds his own humanity in gentling an especially unbreakable mustang. THE MUSTANG is based on an actual rehabilitation program in Carson City, Nevada & is an exceptional story of redemption, garnering positive critic & audience reviews alike, plus a 94% approval rating on Rotten Tomatoes – a must-see!